When I ask Kimere Masoi how old she is, she whispers that she doesn’t know. She has 7 children she says, hoping that this information will help. My translator suggests she is probably in her late 20s. She’s certainly much, much younger than I had naively imagined, when I was told I’d be meeting ‘a destitute widow’. This year, we are celebrating two decades of supporting sustainable projects originated and implemented by Africans. The Women’s Solidarity Boma in Mondorosi was the very first idea we funded in Tanzania! A boma is a traditional dwelling found throughout the African Great Lakes region, varying in size to encompass a livestock enclosure and small number of basic houses, often made of cow dung. In this case, two houses for the two women who are fortunate to benefit from living here as stewards for a few years. Everyone is pleased to meet us, to answer questions and to have their photograph taken, but the concept of a 20th anniversary being a reason to visit and take stock is hard to get across to our hosts. The Maasai do not celebrate birthdays. They know which age set they belong to, but that doesn’t narrow things down that much. Their semi-nomadic lives are completely governed by the seasons but they do not count the years. So Kimere is probably in her late twenties and she came to live here about 2 years ago, when she was offered the opportunity to take care of the boma, its livestock, and to sell the milk in exchange for a small salary. Mondorosi is just a few kilometres from the Kenyan border, a long bumpy ride away from the already-remote rural town of Loliondo, bordering the Serengeti. I am told that Serengeti comes from the Maa word Serengit, which means ‘endless plains’. And they are; Miles and miles of blue sky, scrubby bushes, patchy grass and dusty earth, peppered occasionally with Thompson gazelles, and small herder boys, often no older than 5, with a stick in one hand, a scowl and a bright red cloth covering all but their strong, skinny legs. They learn young how to herd here, because cattle are everything; a way of life, a currency, a status symbol, a source of food, drink, ritual, leather and dung, and also, I’m told, great company. Whenever I say that my husband and I have no cows, the reaction is always the same; nervous laughter, incredulity, and finally pity. Timo, who is our guide, laughs easily and often, but especially at the thought that we would keep dogs inside the house. Here, dogs would never be allowed inside, yet there is a pen for calves inside every house, which is often bigger than the space for the wife and several children. According to Maasai legend, Cattle were entrusted to men by the sky God, Ngai. They are therefore sacred. It is usual for a man to lie down next to a cow he must part with, to whisper and cry and say goodbye. “A cow is as good as a man”, so the Maasai saying goes. Women, however, are undeniably further down the pecking order. They are expected to milk the cows, tend the fire, make tea from the milk, clean out the pens and mend leaking roofs with cow dung, but they have no ownership over cattle. When a husband dies, all of his property is passed to his brother, or his son. Cows included. This means that women can have security, food, milk, and a home one day and be left with absolutely nothing the next. 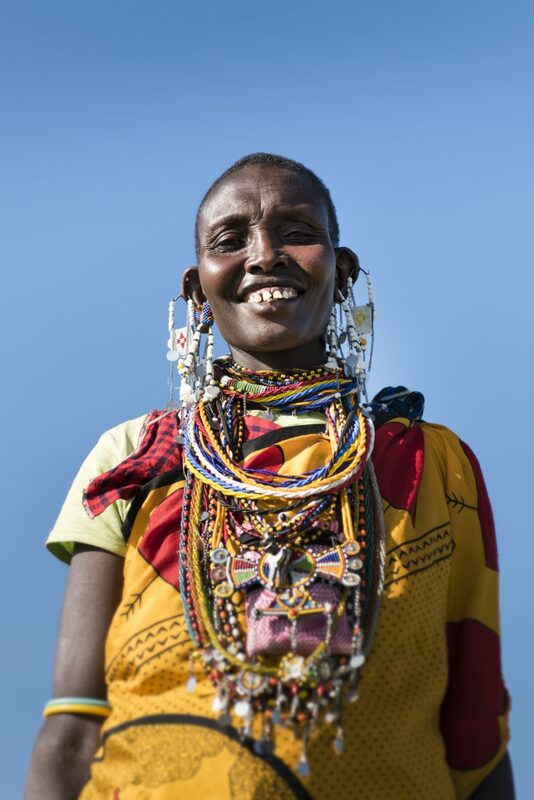 Confined to the domestic sphere throughout her life, a Maasai woman is traditionally not allowed to speak in front of men. 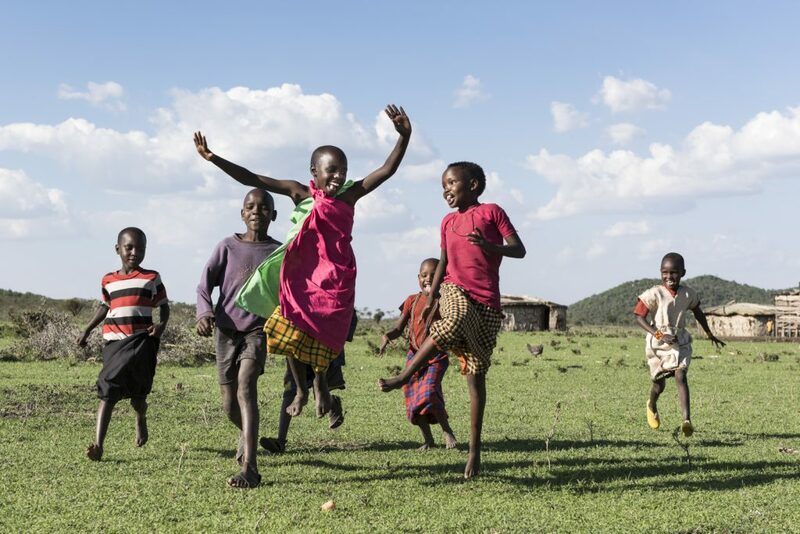 Girls are viewed as domestic workers and/or financial assets and fathers tend to marry their daughters off for cattle at the end of primary school, when they are still seen as compliant, able to learn, and before they run the risk of becoming pregnant. 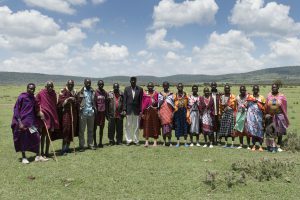 Building a boma exclusively for women was the brainchild of the Pastoral Women’s Council (PWC) – a group of Maasai women who formed in 1997 as a response to the injustice and inequality they faced. 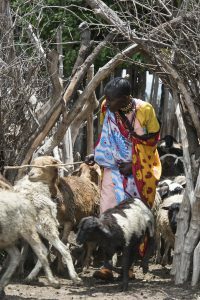 The Women’s Solidarity Boma was intended not only to offer a safety net to those women struggling to survive but also to prove a woman’s ability to own livestock. PWC realised that if they could demonstrate that women were capable of successfully managing livestock, they could redefine relations within the community and one day see women’s rights and opinions respected. The dwelling sits under a perfect blue sky, on a vast plain stretching in every direction to a shimmering horizon. 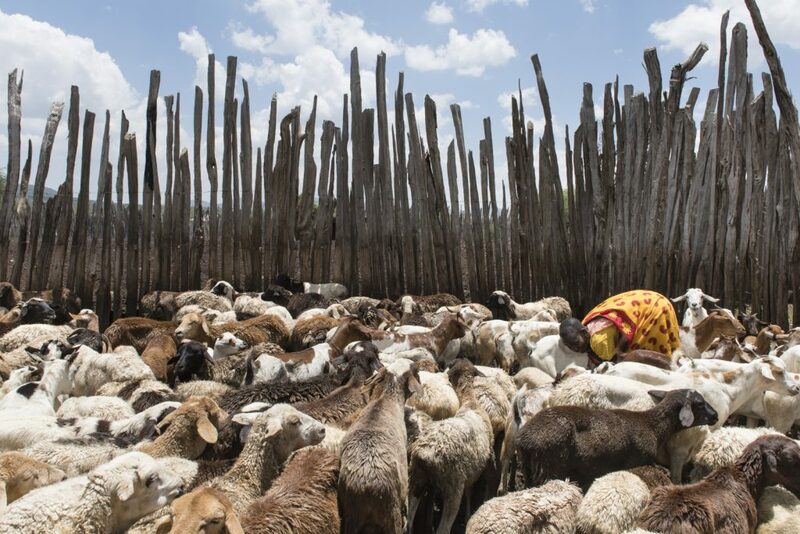 A great ring fence of thorny Acacia, known as a kraal, protects the women and their livestock from wild animals. Inside the enclosure there are two small houses built of mud and dung, a pen for goats and another for cows. When we arrive, Kimere is with the goats and we wait for her to finish milking and then herding, before finding a spot under a tree to conduct our interview. There is a rudimentary church nearby and as we sit and talk, we hear harmonies dancing out across the scorched earth, mixing with the heat, bleats of goats and the tinkle of cattle bells. With a tiny, hesitant voice, but a disconcertingly intense stare, Kimere answers my questions and tells me the details of her life. She wakes at dawn to start the fire, milks the livestock and then makes her children some porridge before they go to school. She cleans the pens and waters the livestock. She mends the roof and anything else that needs mending. She collects water and firewood for herself. 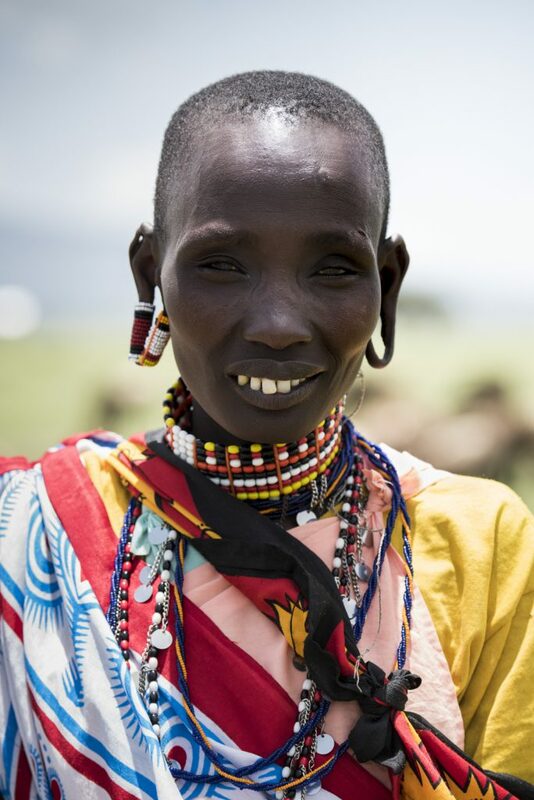 Her life has not changed beyond recognition – she is still a Maasai woman living a pastoral life, but she no longer feels her back will break with carrying firewood and she no longer worries that her children will starve. Kimere explains that she was her husband’s fourth wife. “By the time he married me, he was in his 70s and had very few cows left” she says. As each of the sons from his previous marriages left home, they took some of the remaining cattle and goats with them. 5 years ago Kimere’s family found themselves without a cow to their name and on the brink of starvation. She fetched bushels of firewood for a village 10km away, making 200Tsh (about 7 pence) for each trip and was reduced to begging for food for her children and sewing scraps of discarded clothes together so they would have something to wear. When there is a space available, members of PWC meet to discuss who may need help and then vote on who should be invited. As each woman passes through the boma, she is rewarded for her stewardship by taking some of the livestock with her when she leaves. As long as she takes care of her flock, the animals will thrive and multiply and she will leave with a new life; one in which she has ownership, confidence and respect. The project is now 20 years old and slowly, slowly, views on a woman’s place and a woman’s rights, are changing. 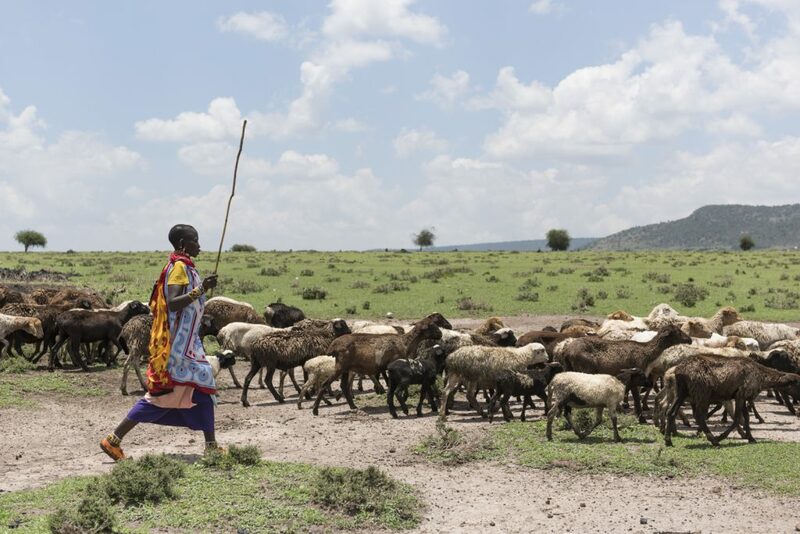 According to PWC, women who have lived at the boma and now own livestock, talk about a difference in how men relate to them – they feel increased respect from men in their community. Kimere now has more than 70 sheep and goats, and 5 cows and when she leaves the boma next year she will be in a position to thrive. 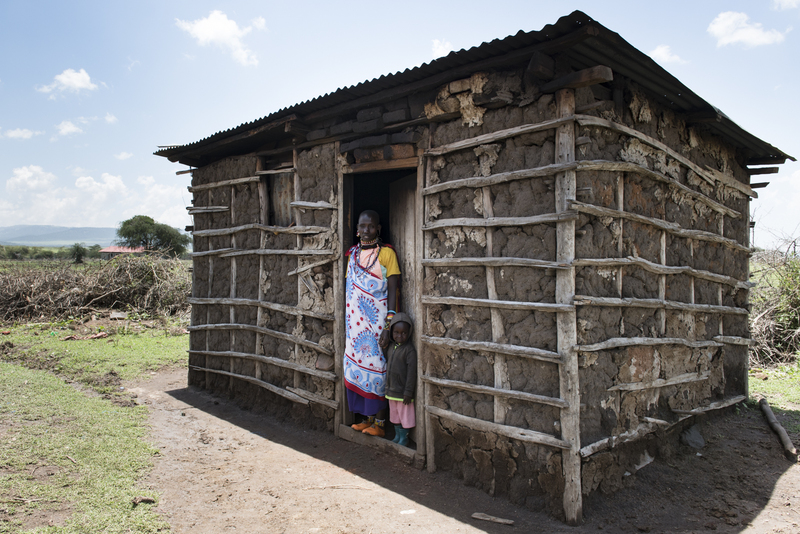 Although her oldest daughter was already married before she came to the boma, two of her younger children are now in school and will not be married off young as she was. “I want the rest of my children to have a secondary education. I want a good house with many livestock and a big field to cultivate. I will grow maize and beans and not be hungry” she says, looking me squarely in the eye. She has a good chance of achieving all of this. The women before her have set reassuring precedents; Mererio Parmoat, who left the boma 2 years ago, still returns to visit and is here on the day I visit – “It’s my home still” she says. ‘The boma is deep in my heart”. Her story is similar – she was married young, to an old man with no cows left and was selling firewood to feed her children, sliding slowly towards starvation. 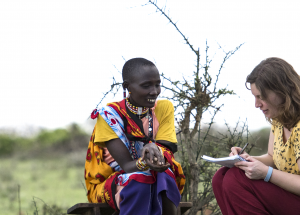 But after living at the boma for 3 years, everything changed. “When I left the boma I bought two chickens” she tells me “and now I have over 50. I’m the only person in the community who owns any and I sell chicken and eggs at the market every Saturday. She has just invested in a mill for grinding maize and charges others in the community for the service. Her children are going to school and they have first-hand understanding that a woman can own property and livestock. According to Mererio, the boma project also changes how women see themselves. “We are able to stand up and talk in community meetings and be listened to.” she says. PWC now have three Women’s Solidarity Bomas up and running in two districts, generating an income for women like Kimere and Mererio. Something like 50 women have passed through their doors, or rather their branches. I ask Kimere what would have happened if she had not been invited to live at the boma and she covers her face. “I can’t even imagine. I just don’t know. We had nothing left at all”. She looks out at the plain and I’m suddenly aware that we’ve been under this tree for hours. I imagine Kimere is tired and has better things to do than think back to her old life. I thank her and ask one last question – is she happy for me to tell others her story?